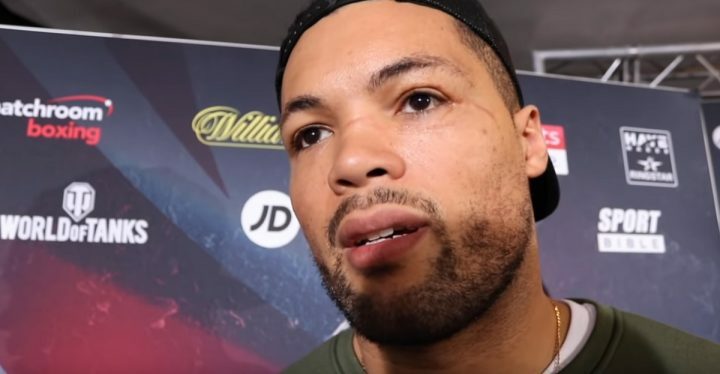 By Tim Royner: Joe Joyce (4-0, 4 KOs) will be fighting next month on June 15 against an opponent still to be determined at York Hall, but he’d like for it be heavyweight contender Jarrell ‘Big Baby’ Miller, who called him and his promoter David Haye out. #3 IBF, #4 WBO Miller, 29, is coming off a 12 round unanimous decision win over Johann Duhaupas on April 28 and needs an opponent for his next fight while he waits for a title shot against IBF/WBA heavyweight champion Anthony Joshua. That fight likely won’t happen until 2019, and it depends on what Joshua has on his plate. Joshua has a lot of options. Joshua’s promoter Eddie Hearn had talked previously of wanting to use Miller to help build a fight between AJ and WBC heavyweight champion Deontay Wilder. But Joshua doesn’t want to wait on the Wilder fight, so Miller is of less importance to him now than he was previously. Hearn will still obviously use Miller as opponent for Joshua, as he’s going to need him once he starts his new streaming deal with DAZN in September. Hearn will need to make interesting fights that appeal to the U.S and UK boxing fans to get them to want to subscribe to DAZN. Joyce vs. Miller would be an excellent fight. Miller would finally be facing someone that has the size, power and the talent to really test him for the first time in his career. Haye was knocked out in the 5th round in his last fight by Tony Bellew in their rematch on May 5, and it’s unknown whether he’ll continue his career at this point. Haye looked bad in that fight. It’s not a good thing that Miller is calling out Haye with him coming off a knockout loss. Miller gains nothing from fighting Haye other than a payday, and some attention from the UK boxing world. Miller would be better off facing younger fighters like Joyce or Dillian Whyte. Miller (21-0-1, 18 KOs) probably doesn’t want to risk messing up his eventual title shot against Joyce by fighting anyone that could hand his first career loss. Joyce isn’t in the position to get fights against the top contenders in the heavyweight division. He’s not ranked in the top 15, and he’s not promoted by one of the powerhouse promoters in the UK, like Eddie Hearn’s Matchroom Sport. There’s no upset for Miller to fight Joyce or any top contender to fight him. It’s a shame, but Joyce is probably going to be looking at his management only setting him up with lower level opposition for several years until he can get a high enough ranking to force a title shot against one of the champions.